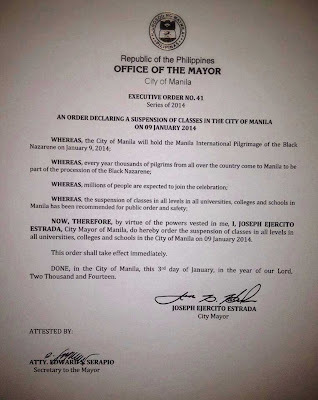 Suspension of classes in time for the Black Nazarene feast on Thursday, January 9, 2014, has been declared by city mayor Joseph Estrada. 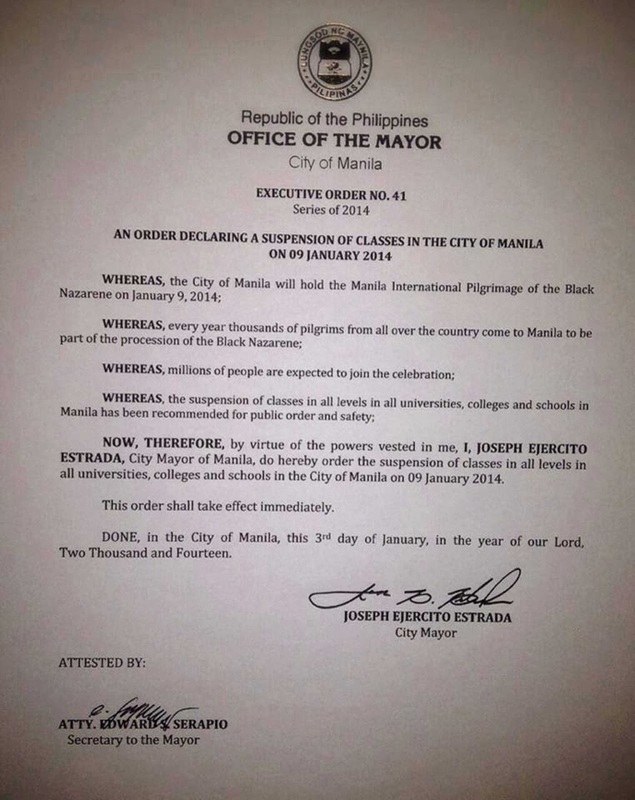 Erap approved the class suspension through Executive Order No. 41. “Millions of people are expected to join the celebration,” which Manila calls an “international pilrimage of the Black Nazarene,” the order stated. Recent reports say authorities expect that around ten to twelve million devotees will flock to the city to attend the procession and other related religious activities.